Invitation suite designed for a luxe bat mitzvah. Inspired by chandeliers and sparkling silver, the invitation suite is almost like opening a jewelry box. 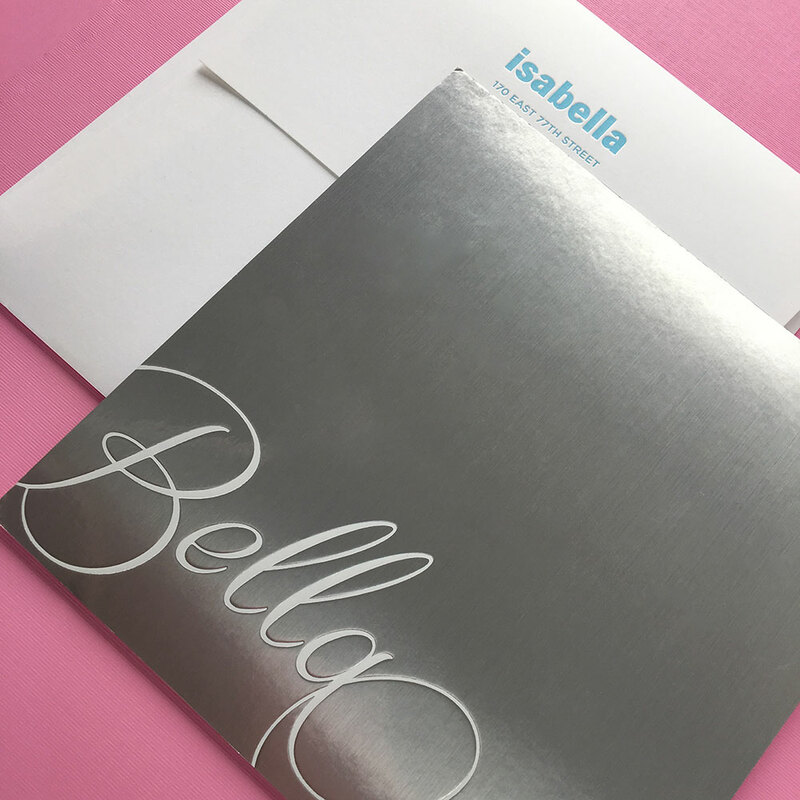 With foil, metallic silver backer and lush letterpress, the suite is a testament to Press New York's craft and skill.